A powerful tornado or hurricane can bring severe damaging winds that tear up homeowner and commercial property. Hail and flooding often take the most tolls. Blizzards bring ice damming and scaring wind damages. Our teams of IICRC certified professionals are there when Mother Nature unleashes havoc on your property. We offer immediate help for whatever damage needs restoring 24 hours a day 7 days a week. Our promise is to be the first responders to your disaster crisis. The elements that can damage your property such as hail, wind, water, lightning, and downed trees are no match for our professionals. Storms can render your property useless without the most essential requirement, electricity. If your home or business is experiencing a power outage, then we will provide generators to eliminate interruptions to your life. Our specialized electrical team will accommodate your property loss. To help secure your property from any further damages, we offer emergency board-ups, temporary roof tarps, and personal property inventory. We always handle every job with compassion and efficiency to restore your home or business back to its state of normalcy. There is not a situation that is too big or small for us to tackle. We are willing to go as far as full construction, but will also take on minor roof repairs. Any external structures that have been harmed by a storm can be repaired whether it’s a fallen tree or a broken window, and make sure you are secured for another blow from the weather. Since damage from storms can be unique, our project managers work personally with the homeowner or company to get you started on the path to recovery as quickly and efficiently as possible. The plan includes a map of how long the process will be and what services need to be done. We work closely with insurance companies to minimize any costs or restoration payments in order to make the process as painless and stress-free as possible. When you call the National Restoration Network, you can rest assured that we will quickly rally equipment and experienced technicians to respond to any size catastrophe. Our professional partners in all 50 states respond immediately to your location to begin the extensive restoration process, making it as stress-free for you as possible. The NRN has had a hand in the recovery of several hurricanes, tropical storms, and superstorms in prior years. 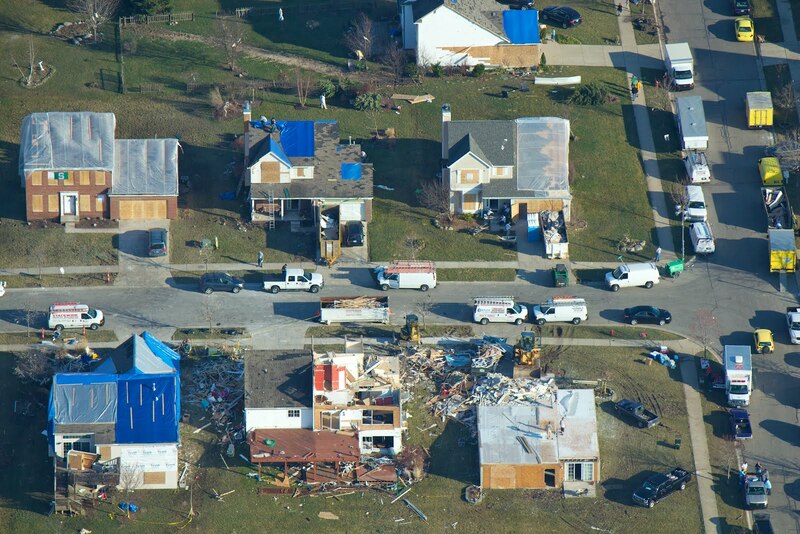 We have mobilized teams across the United States during the 2011 Tropical Storm Irene, 2012 Superstorm Sandy, 2013 Colorado Floods, and 2014 Michigan Floods.